Capable of grinding domestic sewage in individual residential applications. Silicon Bronze semi-open impeller with non-overloading two vane design and pump-out vanes for mechanical seal protection. Cast Iron Volute type casing for high efficiency. 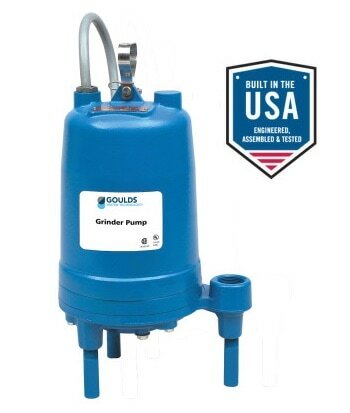 Residential Wastewater Grinder Pump and Basin Packages RGS. Ideal for pressure sewage systems.